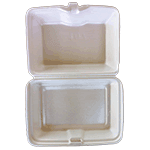 Professional disposable take-away lunch boxes. 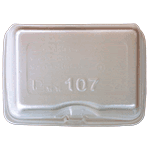 Foam Large Dinner Pack 215mm x 215mm x 70mm Great for hot dinners or lunch. Retains the heat. We have a a large range of food packaging, catering supplies, cutlery, paper and plastic goods for any home, office or retail business. Please make a selection from one of our many categories or search for an item in the search button above. Product of Thailand.